The Portfolio Committee on Police is expected to call national police commissioner Lieutenant General Kehla Sitole to explain a "lack of proper security measures at Parliament", following the death of a parliamentary precinct official, who apparently took his own life on Friday. 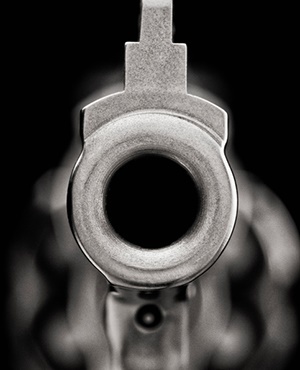 It is believed that the official shot himself in his office at 90 Plein Street at around 12:00. This, after he apparently received news that his employment contract would not be renewed. Chairperson of the Portfolio Committee on Police, Francois Beukman, said the incident raised serious questions about police deployment at Parliament, as well as procedures in place and the general operational readiness of SA Police Service (SAPS) members. Beukman pointed out that Parliament as a national key point and the incident highlighted weak access control and security screening. "The portfolio committee is seriously concerned that the SAPS management failed to ensure that proper security measures are in place at Parliament," reads Beukman's statement. Beukman emphasised that the police should ensure that security measures at Parliament were at the same level as other houses of parliament around the world. Beukman will write to House chairperson Cedric Frolick for permission to convene a meeting with Sitole during the parliamentary recess, which started on Friday. After the incident, several staff members milled about outside 90 Plein Street, where there were several police officers and two ambulances. Some staff members were concerned about how a firearm had been brought onto the premises. Parliament said in a statement it would arrange the necessary assistance to Parliament's staff to deal with the trauma. In another statement, the ANC caucus said it was shocked and saddened. "This incident also raises concerns around our security systems in Parliament, in particular, how the firearm that was used got into the precinct of Parliament undetected and breached our security. This matter is being investigated to ensure that it does not happen again in future," reads the statement from ANC caucus spokesperson Nonceba Mhlauli. "The ANC sends its heartfelt condolences to the family, friends and colleagues of the deceased official. May his soul rest in peace." DA chief whip John Steenhuisen extended his party's deepest condolences to the family, friends and colleagues of the staff member. "We welcome that Parliament has offered counselling to staff members," Steenhuisen said in a statement. "Our thoughts and prayers go out to all those affected by this tragedy and the parliamentary family." The SACP Western Cape also said it was shocked and saddened. "We have learnt that the employee decided to take his own life owing to frustration of non-renewal of his contract. This unfortunate incident exposes poor contract management of staff in Parliament which is a symptom of poor labour relations within the law-making institution," SACP Western Cape provincial spokesperson Zuko Mndayi said in a statement. "The party is also concerned about the safety and security measures within the institution. The incident begs the question, how did the employee pass through security with a firearm? The situation suggests that the well-being of personnel within Parliament is at risk due to poor enforcement of security." The SACP called on Parliament's presiding officers to investigate the circumstances surrounding the incident, particularly the management of staff contracts and security breaches within the precinct.